(NewsUSA) - Smart homes -; those self-monitoring homes that are attuned to their owners' personal preferences -; are no longer only for the mega-rich. When Americans think about smart homes, they might think about houses that speak to their residents before brewing perfect cappuccinos and preparing breakfast. While the smart house as personal chef still remains science fiction, new technologies create personalized living environments. New smart homes can be linked with the Internet, so homeowners can check their home online. Some homes can send e-mails or text messages to homeowners, letting them know when doors are locked or unlocked, or when other residents open cabinets. Home automation means that when someone arrives home, the doors unlock, lights go on and the thermostat adjusts. As the price of these technologies lowers, more middle-class homeowners have embraced smart technologies. In 2006, builders included structured wiring, which allows high-speed video transmission, in almost 50 percent of new homes. Americans might not consider their homes especially intelligent, but many people have smart appliances, if not smart homes. Motion-sensor lights, programmable thermostats and sound-control surround systems are all "smart" technologies. Smart technologies can improve resale value and help protect homes. Americans looking to boost their properties' IQ should consider their plumbing system. One smart product, the FloLogic System (www.flologic.com), acts like a circuit breaker for the home plumbing system and can be fitted to any existing home. From the water main, the system monitors all of the water flow inside of the home and can be fitted to any existing home. If the FloLogic System notices a drop in water pressure, whether caused by a pinhole leak, a left-on hose, or a broken pipe, it sounds an alarm at the control pad and shuts off the water. 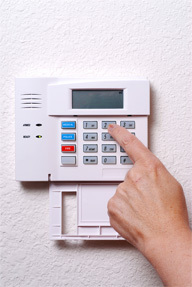 Homeowners can also link the FloLogic System with their home security alarm. Shutting off the water prevents costly water damage from floods. Many insurance providers offer discounts to homeowners who install the FloLogic System, making it a smart way to save water and money. With smart technologies, homeowners can learn about broken pipes from their home security system.